Some people turn to yoga for relaxation and others turn to alcohol. I seem to have found a method for relaxation that I find both rewarding and fun at the same time. 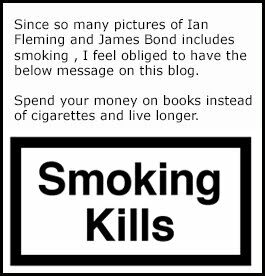 I retouch old James Bond book covers using Photoshop. Being a James Bond collector is almost as being a hoarder. We collect far more then we need and even more then we have space for. Therefore I am extra happy when I decide not to buy a book and to just restore the artwork and be satisfied with a JPEG on my computer. 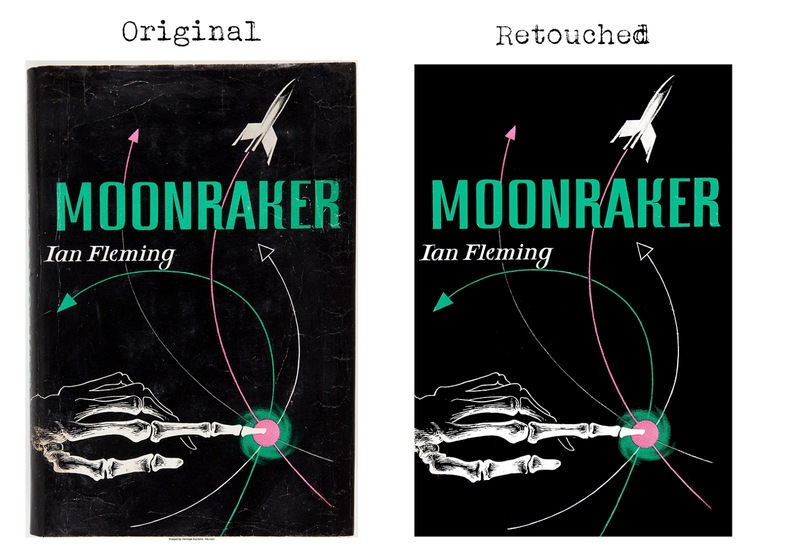 As the saying goes "You can't bring it with you..."
So today, there was an auction on Ebay for a US first edition of MOONRAKER that I was planing to bid on. But instead I decided to just use a high resolution scan of the artwork and try to restore it. Especially since I am not to impressed with the design of the artwork that was made by Leo Manso. Below you can see the finished restoration that took me about 40 minutes. While doing this I came to think about something. Could the US Moonraker jacked design be the inspiration for the later UK jacket design for Thunderball. Both of the shows a skeleton hand. What is your opinion. Please comment below. Thunderball UK first edition dust jacket.